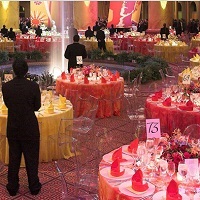 We are having a team of creative heads with us who plan your event in an organized and most efficient manner. DHRUV TRAVELS organizes the extravagant Corporate and Private events keeping in mind the budget and the requirements of our clients. We make the best arrangements for your events from starting till the end. By joining hands with us, you will experience the most dedicated services.It is our responsibility to organize your events successfully and make the event memorable for you.